Today, I wanted to do something slightly different. Sure, we talk tag teams every Tuesday, but one era of wrestling that we rarely discuss is the New Generation Era. 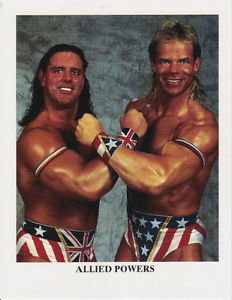 With Bret Hart and Shawn Michaels as the top two singles stars, the tag division was full of gimmicks and interesting teams. There were no true clear cut ahead of the pack teams, but I do think some of them had better moments than the others. Let's take a look at 5 New Generation Tag Teams that made an impact. -In a way, this team is the best of the era and it's not close. 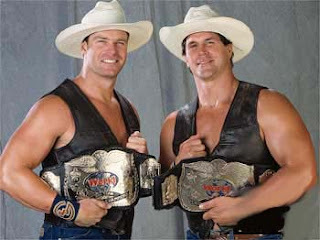 The Smoking Gunns are the most important team of the New Generation and they would be the reason we see Billy Gunn as a true tag team wrestler. 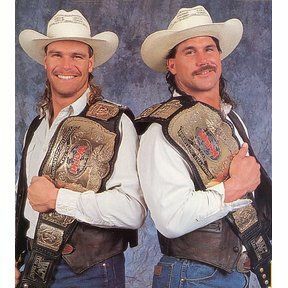 Bart and Billy Gunn worked together for years in a cowboy team gimmick, which really doesn't seem to be an interesting gimmick overall, but they made it work. They lasted the entire New Generation era, going from 1993 to 1996, and they were honestly a joy to watch in the ring together. They were solid in ring guys and had a gimmick that the typical wrestling crowd seemed to love. 1995 was the biggest year for the team as they won the tag titles multiple times and had some solid matches in that time. 1996 was a little different, as Billy got injured and the Gunns lost the titles, but their feud with the Godwinns would be big for the WWF. They would turn heel and get managed by Sunny before eventually splitting. The truth be told, the Smoking Gunns are one of the best teams in WWF history so it was a must they got featured on this article. -Chris Candido is an underrated wrestler in history and his work over the years was important in the world of pro wrestling. However, one of his oddest moments came as a member of the Bodydonnas. As Skip, he worked alongside Zip and they were managed by Sunny (and eventually the weird crossdressing Cloudy.... which is still odd today). The gimmick was poorly executed, but they could actually wrestle and that made a huge difference overall. They were tag team champions before and while their reigns weren't very eventful, they stand out as one of the better teams in the New Generation. 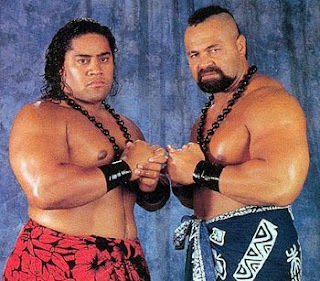 -Samu and Fatu essentially started the Headshrinkers, and I'll be honest, I wasn't a big fan of this team initially. I did enjoy their work against The Steiners at Wrestlemania 9, but all in all, the team was merely an extension of the Wild Samoans so they weren't as prevalent as they probably should have been. They would feud with Men On A Mission and Smoking Gunns during their hottest period, and eventually Samu was replaced with Sione. 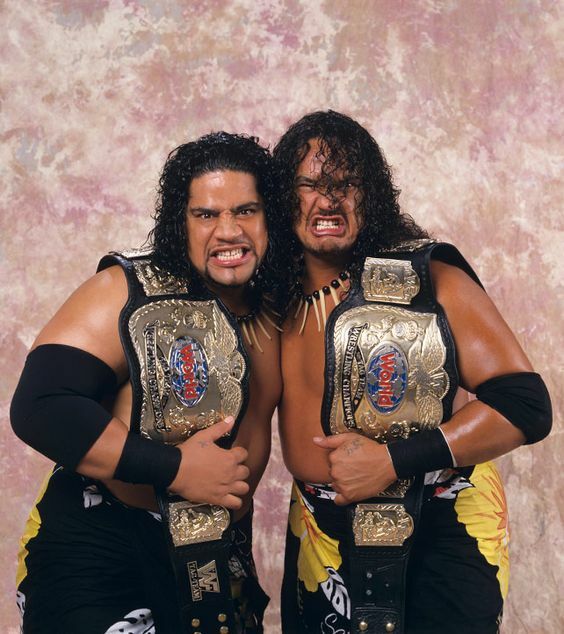 However, Sione and Fatu didn't have the same success as Samu and Fatu, as Samu and Fatu were tag team champions and managed to be near the top of the tag team ladder throughout their entire run. The Headshrinkers weren't legends, but they were a noteworthy team in the era. -Surprisingly, this is the best makeshift team in the New Generation Era. 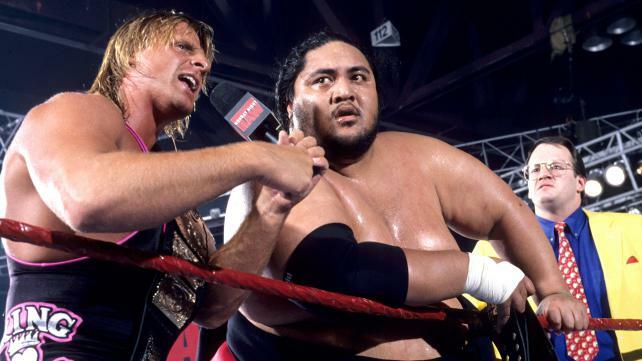 Owen Hart had proven himself as a singles competitor, while Yokozuna was one of the premier stars in the WWF. When they teamed up under the element of surprise, it was only a matter of time before they would run everything. Their first night together would prove to be a big deal, as Yokozuna returned at Wrestlemania 11 to help Owen defeat the Smoking Gunns. With Mr. Fuji and Jim Cornette by their side, they had two great managers and after their title win, they would reek havoc on the entire tag division for a while. After a nice 175 day reign, the two lost their belts but would get them back and lose them the same night to the Smoking Gunns. While short-lived, the Owen and Yokozuna team was one of the best of the entire era. 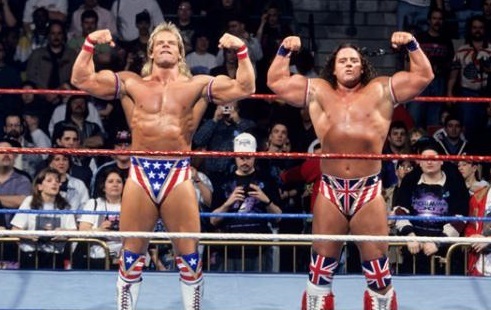 -An underrated team, the Allied Powers never quite lived up to their potential. I mean, Lex Lugar was a main event talent and the British Bulldog was right there on the cusp of the main event regularly. Together, they should have been tag team champions and running the division. However, WWF seemed hellbent on making them lose and not get a tag team title reign. It's honestly the most confusing thing about this team, as there is no reason why they didn't dethrone Owen and Yokozuna as champions. They had matches with teams like Well Dunn, The Heavenly Bodies, and The Million Dollar Corporation, but the Allied Powers were defeated by Owen and Yokozuna and then they broke up shortly after, with Luger leaving the company. I wish we could have watched this team last a little longer and win the belts, but they were still pretty noteworthy in their short time together.